For more than a hundred years, even serious students of the history of slavery believed the number of African slaves brought to the Americas was between 15 to 20 million. Then, in 1969, Philip D. Curtin questioned those numbers in his book, The Atlantic Slave Trade: a Census. Map reproduced by permission of Yale University Press. 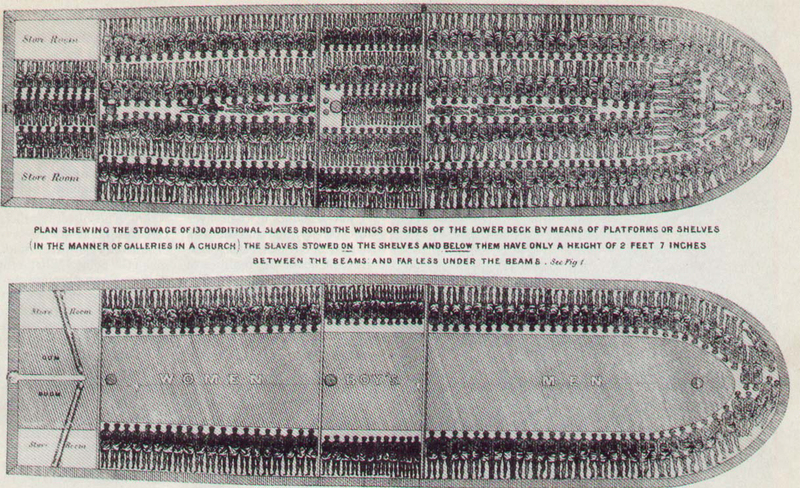 Source: David Eltis and David Richardson, Atlas of the Transatlantic Slave Trade (New Haven, 2010). 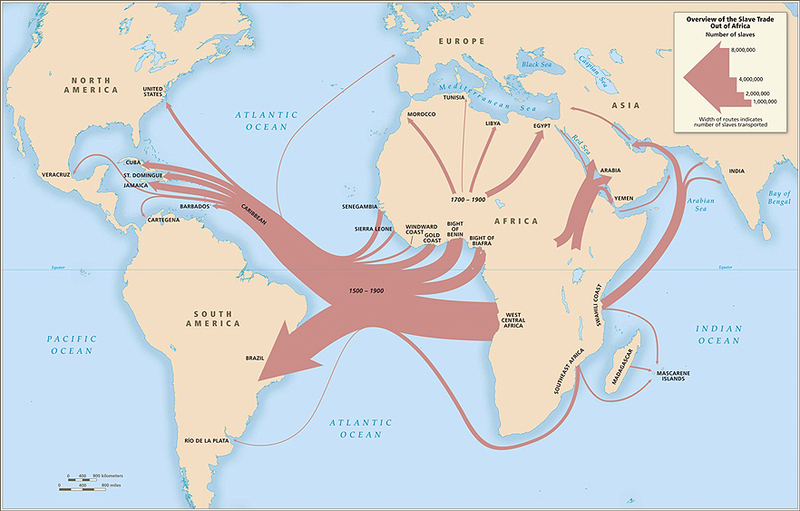 Although the origins are unknown and the meaning has changed over time, The Middle Passage is a term that commonly refers to the transporting of African slaves from the West African coast, across the Atlantic sea to the Americas, aboard slave ships known as slavers. This article will briefly outline the major phases of The Middle Passage and describe some of the treatments and conditions the enslaved Africans experienced. The bulk of the material used to explore this topic comes from the holdings of the M.D. Anderson Library located at the University of Houston’s main campus. The material used for this research includes first-hand accounts (Captain Logs, seamen diaries, and slave narratives) as well as other appropriate secondary sources. After an examination of this material, it is apparent that the cruel treatment of the slaves coupled with the inhuman conditions aboard the slavers resulted in high mortality rates while causing the survivors to emerge physically weak as well as mentally terrified.